The discovery of blood-typing and the subsequent ability to safely transfuse blood has revolutionized medicine and has allowed individuals to survive what previously were fatal bleeding complications related to surgery, traumatic and non-traumatic injury, and even pregnancy. While transfusion has been beneficial to many patients, there are individuals who, for religious or other reasons, decline blood products. This, in addition to the growing body of knowledge of certain risks associated with transfusion, has led to innovative approaches to the management of blood loss. As a result, among healthcare institutions, there are growing numbers of “Bloodless Medicine” programs that focus primarily on how to best provide care for patients who decline blood products, the most common of whom are Jehovah’s Witnesses. Our bloodless medicine group recently published our own recommended practices in several areas relevant to the care of these patients, including perioperative and intraoperative management, acute blood loss, trauma, pregnancy, and malignancy. One of the central tenets of bloodless medicine is establishing a person’s individual beliefs before he or she enters into a situation associated with blood loss, most commonly surgery. However, establishing what a person is willing or unwilling to accept can be difficult. In modern medical practice, the components of human blood (including red blood cells, platelets, and clotting proteins) are separated from each other using laboratory techniques into what are known as blood “fractions”, any of which can be transfused based on a particular patient’s needs. Although there may be general rules regarding transfusion within a given religion, individual members may accept different blood fractions depending on their own specific beliefs. However, some patients may have little to no knowledge of the blood fractions or transfusion alternatives that are available to them. For this reason, patients at our institution are able to meet with a member of our bloodless medicine program as well as an associated member of the religious community (such as a Jehovah’s Witness representative of the local Hospital Liaison Committee) in order to help discuss transfusion and its alternatives in detail and to help come to decisions about acceptable treatments that align with that patient’s goals. We and others have suggested this meeting be done in private with the patient alone in order to avoid any coercion from third parties, including family members (patients can also choose to receive transfusions in private). This information regarding patient preferences can then be used to facilitate discussions with the surgical team, anesthesiology, and hematology in order to strategize the surgery and post-operative care. Pre-operative medical optimization is also critical. Prior to surgery, we screen all patients for anemia and treat any underlying iron or vitamin deficiencies that could be contributing to decreased blood cell production. If the patient is willing, we can also provide a hormone called erythropoietin (EPO) to help increase red blood cell levels, a treatment which is currently FDA-approved for anemic patients undergoing certain types of high-risk elective surgery. During surgery, there are various medical, surgical, and anesthetic techniques that can be implemented that are associated with reducing intra-operative bleeding. What To Do During Acute Blood Loss? However, it remains particularly challenging when significant acute blood loss does occur, including bleeding arising post-operatively as well as from traumatic and non-traumatic injuries. As bleeding progresses, hemoglobin (a vital protein in red blood cells that carries oxygen to body tissues) decreases and risk of mortality increases. Although the minimum hemoglobin level required to sustain life is unclear, a study of Jehovah’s Witnesses who declined blood products after surgery showed that some patients were able to survive with the lowest hemoglobin of 2.1–3.0 grams per deciliter, which is approximately 15-25% of normal. This suggests that even in the setting of profound blood loss, transfusions are not the only option for survival. In the event of acute bleeding, health care providers must simultaneously seek to identify what blood products a patient is willing and unwilling to receive (if not already known or documented), provide resuscitation (such as intravenous fluids or other medications to improve blood pressure), reduce further blood loss (including minimizing blood draws and investigating the source of bleeding via surgery, imaging, or endoscopy), and reverse any underlying coagulation impairments (such as those related to use of blood thinners). If a patient is willing, we can also provide other products to help stop bleeding, including medications that inhibit clot breakdown (such as tranexamic acid, which is particularly beneficial in trauma-related bleeding) as well as laboratory-derived clotting factors (such as recombinant factor VIIa, which is produced from modified hamster cells that contain the human clotting gene, factor VII). 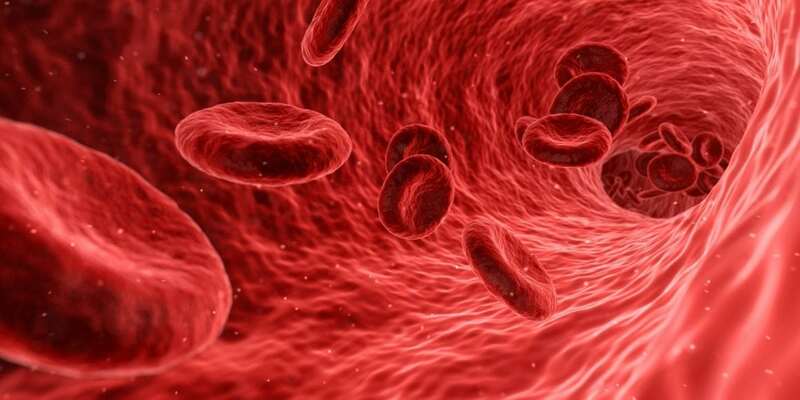 Although not yet FDA-approved, our center also has experience using “hemoglobin-based oxygen carriers”, which is an artificial blood substitute that uses bovine-derived hemoglobin to help transport oxygen around the body. Pregnancy is another common area where bloodless medicine can provide benefit. Postpartum hemorrhage occurs in about 11% of pregnancies globally, and is the leading cause of maternal death worldwide, with studies showing that risk of mortality from bleeding is significantly higher for Jehovah’s Witnesses. Given the increased risk of complications, proper prenatal preparation early in pregnancy (usually under the care of an obstetrician familiar with high-risk pregnancies) is imperative to help ensure a safe birth. Such preparation includes adequate counseling, treatment of underlying anemia, and active collaboration with anesthesiologists and hematologists. If postpartum hemorrhage does occur, it can be managed with IV fluids, medications, laceration repair, and maneuvers such as uterine massage. If these measures fail to control bleeding, invasive procedures or surgeries can be performed, including hysterectomy as a last-resort measure. Of particular note, the recently completed WOMAN study, which is a clinical trial of over 20,000 women with postpartum hemorrhage, found that tranexamic acid significantly reduced mortality, particularly if given within 3 hours of bleeding onset. Although not associated with overt blood loss, patients with cancer can also benefit significantly from bloodless medicine. Modern-day chemotherapy can have impressive cure rates in some cancers if treated aggressively. However, this often results in chemotherapy-related side effects as well as severe anemia and low platelets, from which patients may require significant transfusions in order to survive their treatment. This poses a challenge in those who can potentially be cured but decline blood products, because modifications to chemotherapy (such as dose reduction), while more tolerable, may compromise the ability to attain cure; the management of these patients is extremely complex and should be considered on a case-by-case basis. In patients for whom the goal of treatment is not curative (ie, a “palliative” strategy), we recommend adjusting the chemotherapy in such a way so as to not require transfusions. Notably, small studies and case reports of Jehovah’s Witness cancer patients have reported favorable response to treatment when supplemented with aggressive supportive measures and shear tolerance of significant anemia. While patients who decline blood products can present significant ethical and medical challenges to health care providers, the risks of harm and death can be significantly decreased with careful and extensive planning. This is ideally performed far in advance of an anticipated event associated with blood loss or anemia, including elective surgery, pregnancy, and cancer treatment. With advancements in our understanding of anemia and the advent of new drugs, surgical techniques, and supportive care measures (including vigilant early screening and management of anemias), these patients can be successfully treated in a “bloodless” fashion. Although some of these novel treatments only have limited data to support their use, these interventions should still be heavily considered if life-threatening bleeding persists despite other measures. This study, Treatment of individuals who cannot receive blood products for religious or other reasons was recently published by Carlton D. Scharman, Joseph J. Shatzel, Thomas G. DeLoughery in the American Journal of Hematology. Carlton D. Scharman is a medical researcher specializing in hematology and transfusion medicine at Oregon Health and Science University. Joseph Shatzel is a research fellow at the Oregon Health and Science University | OHSU · OHSU Knight Cancer Institute. Thomas Deloughery is a Clinical Hematology researcher and Professor of Medicine at Oregon Health and Science University | OHSU · Division of Hematology & Medical Oncology.